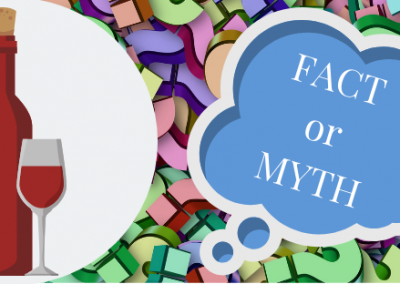 Let’s get some answers on the most common myths and misunderstandings about sulfites, wine, and headaches. If drinking red wine gives you a headache, you’ve probably had someone tell you that sulfites are the likely culprit. Perhaps you’ve been advised to stick to white wine, organic wines, or wines made in Europe on the grounds that these will be lower in sulfites. First, a little background: Sulphur dioxide (or SO2) is a chemical compound made up of sulfur and oxygen. It occurs naturally but can also be produced in a laboratory. It’s used to preserve foods and beverages, which it does by acting as an antioxidant and antimicrobial. Sulphur dioxide has been used in winemaking for thousands of years, ever since the ancient Romans discovered that it would keep their wine from turning into vinegar. To this day, winemakers use sulphur dioxide to preserve the flavor and freshness of wines. By law, wines that contain more than 10 ppm (parts per million) sulfite must be labeled with the words “contains sulfites.” There are also upper limits to how much sulfite a wine may contain but the regulations vary by region. In the European Union, wine may contain up to 210 ppm sulfites. In the U.S., the upper limit is 350 ppm. Myth #1: Organic or bio-dynamic wines are sulfite free. In order to be certified organic, a wine must not contain added sulfites. However, sulfites are produced naturally during the fermentation process as a by-product of yeast metabolism. Even though no sulfites are added, organic wine may contain between 10-40 ppm sulfites. You may also see wines labeled as being made from organic grapes, which is not the same as organic wine. Wine made from organic grapes may contain up to 100 ppm sulfites. if you do get a hold of wine made without sulfites, I don’t suggest keeping it in the cellar very long. Wine made without sulfites—especially white wine—is much more prone to oxidation and spoilage. We will continue our FACTS & MYTHS about wine next week!